Though Paul's instructions are addressed to slaves, I believe they are applicable to workers of any kind—those of us who work as employees, as freelancers, and as volunteers. The qualities of God-pleasing workers that Paul lists are obedience, respect / fear, sincerity, integrity (working hard even when supervisors aren't watching), and wholeheartedness. They were to exercise all of these as if God were one's actual boss (because He is; He is the one who doles out the ultimate and eternal wages). I find this straightforward and practical teaching for us. Personally, it means I should put as much effort into these blog devotions that I write for free as I put into an article I hope to publish for pay. I need to give myself as wholeheartedly to my housework as I do to a volunteer job I do at church. Living as if God were our real boss in every endeavor helps us view all work, even lowly jobs like cleaning a toilet, in a whole new light. 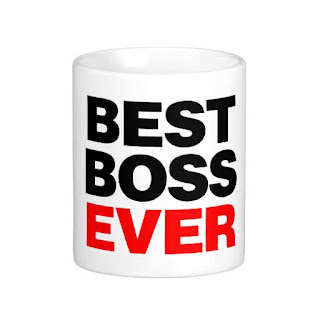 PRAYER: Dear God, please help me internalize the reality of You as my real boss in each job of my life's work. Amen. Unless noted otherwise, all Scriptures quoted in this meditation are taken from THE HOLY BIBLE, NEW INTERNATIONAL VERSION®, NIV® Copyright © 1973, 1978, 1984, 2011 by Biblica, Inc.® Used by permission. All rights reserved worldwide. Who will you put on today? What's the name of your god? Under whose authority do we live? Till Alzheimer's do us part?